Now, more than ever, professional engineers and geoscientists must work together. Dr. Michael Wrinch, founder of Hedgehog Technologies and President of the Association of Professional Engineers and Geoscientists of BC offers his thoughts on the role engineering professionals play in our greater communities. Most importantly, as an integrated team of professionals, councillors, public representatives, and staff, professional engineers must trust each other, be accountable for and to each other, engage in dialogue, and respect our differences towards achieving our common goals. 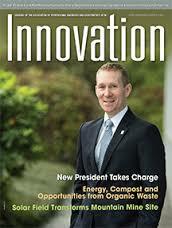 Read Michael’s full comments and profile in APEGBC’s Innovation magazine.